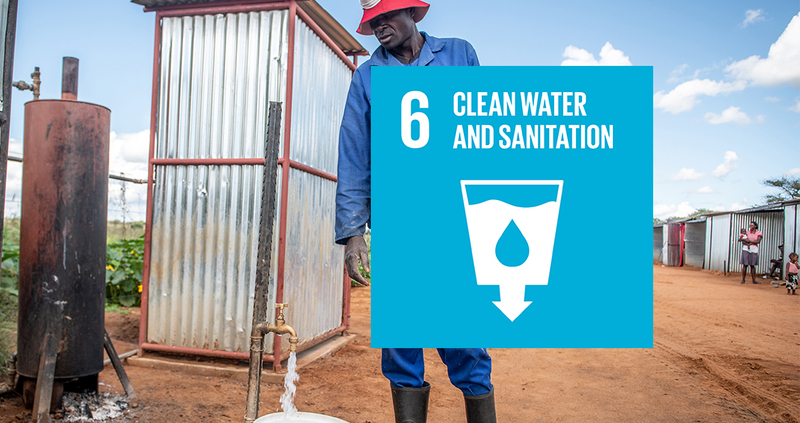 Access to water is one of the most basic human rights and is crucial for human survival. However, due to poverty or poor infrastructure, every year millions of people, most of them children, die from diseases associated with inadequate water supply, sanitation and hygiene. Forests play a key role in the global water cycle by stabilizing the climate, generating rain and providing watersheds. Water scarcity is increasingly at the center of crises and conflict, accelerated by climate change and increasing human population and consumption. By securing basic forest functions FSC-certification plays a positive role in sustainable water management, contributing to goal 6 of clean water and sanitation. With its ecosystem approach, FSC-certified forests contribute to efficient and sustainable water use, integrated water resource management, and protection of water-related ecosystems. FSC requires the protection and restoration of “natural watercourses, water bodies, riparian zones and their connectivity”. And foresters are obliged to “avoid negative impacts on water quality and quantity and mitigate and remedy those that occur”. Through several requirements, FSC indirectly contributes to maintaining water quality in forests. These include, but are not limited to, requirements for training forest workers in manoeuvring machines close to waterways, waste management and forest road construction. In addition to these requirements, which are valid for all FSC Forest Management certificate holders, there are also specific requirements for forest managers that use FSC certification as specific evidence for payments for ecosystem services, including watershed services. These will further contribute to Goal 6. • 6.7 The Organization shall protect or restore natural water courses, water bodies, riparian zones and their connectivity. The Organization shall avoid negative impacts on water quality and quantity and mitigate and remedy those that occur. • Principle 5: Benefits from the Forest. The Organization shall efficiently manage the range of multiple products and services of the Management Unit to maintain or enhance long term economic viability and the range of environmental and social benefits. • Principle 7: Management Planning. The Organization shall have a management plan consistent with its policies and objectives and proportionate to scale, intensity and risks of its management activities. The management plan shall be implemented and kept up to date based on monitoring information in order to promote adaptive management. The associated planning and procedural documentation shall be sufficient to guide staff, inform affected stakeholders and interested stakeholders and to justify management decisions. • Principle 10: Implementation of Management Activities. Management activities conducted by or for The Organization for the Management Unit shall be selected and implemented consistent with The Organization’s economic, environmental and social policies and objectives and in compliance with the Principles and Criteria collectively.